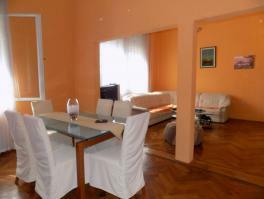 OPATIJA - CITY CENTER, comfortable 2-bedroom apartment of 88.68 sqm located on the 1st floor. It is very neat and well maintained, very bright and sunny and it has its own wood shed. Excellent location in the city center, close to all amenities and only 50 meters from the sea and the beach!